The history of aortic arch surgery began in 1932 when Blalock repaired an ascending aorta that was stabbed by an ice pick. Since then, multiple advances in neuroprotection, surgical techniques and new technologies has made aortic arch surgery a safe and repeatable operation. 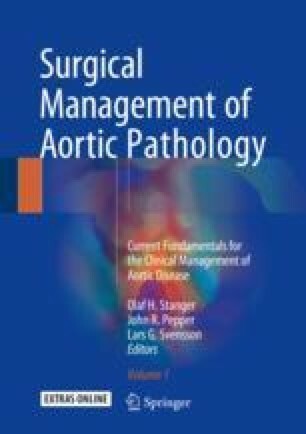 In this chapter, we will review modern surgical techniques for the treatment of aortic arch pathologies and alternatives for second stage repair of the descending aorta.